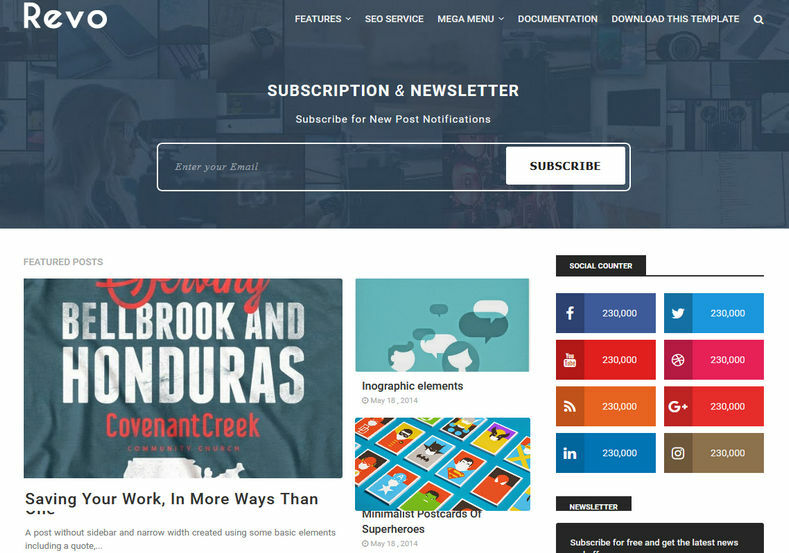 Revo Blogger Template is a dynamic, fast responsive Magazine & Blog blogspot theme. It is suitable for wide-range of magazine/blog niches such as personal blog, fashion, photography, travel , sports, news, Magazine etc. Our theme has included multiple featured widgets, powerful theme options panel, highly SEO optimized, many elements, Google Font and fontawesome. The goal with Revo was to create a sleek and simple design without all of the extra features on the homepage that some people have no need for. This layout will be very easy for your visitors to understand and navigate. 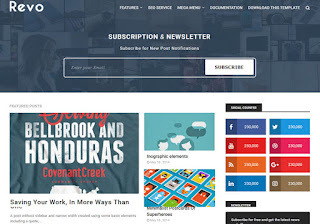 The elegnat looking subscription widget on the homepage are easy to take in and the featured post provides a clear call to action.